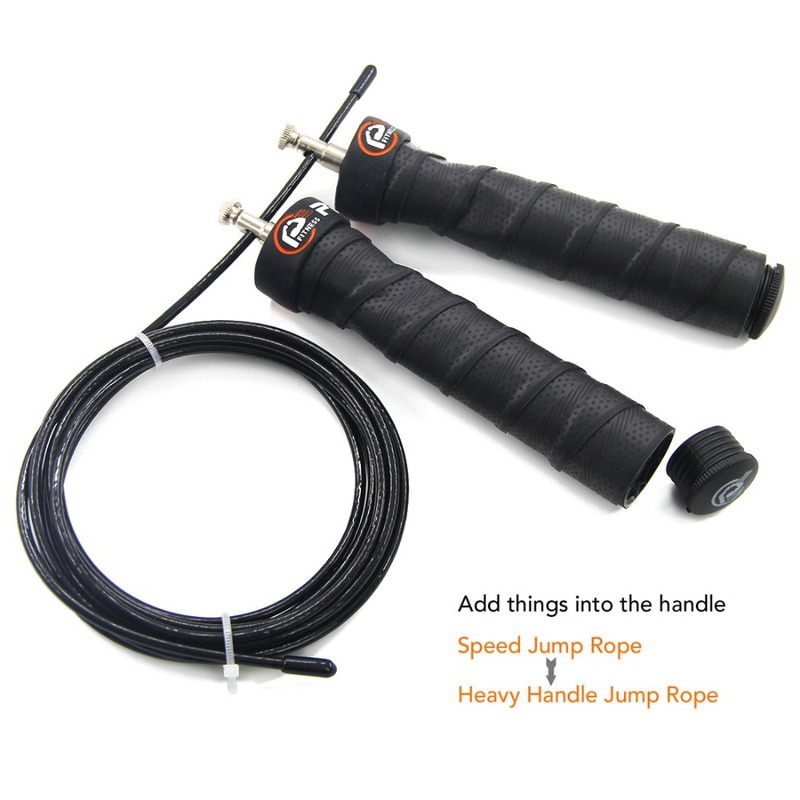 Jump Rope Skip Speed & Weighted Jump Rope with Extra Speed Cable Ball Bearings Anti-Slip Handle Perfect for Double Unders. 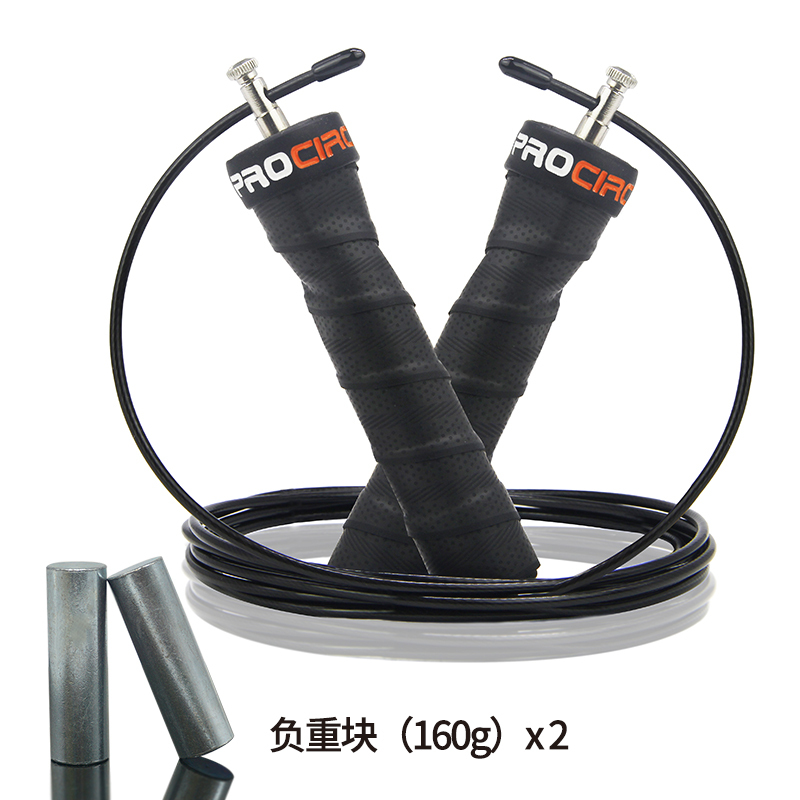 ProCircle crossfit portable steel wire speed jump rope, super fast, speed, is a must have for everyone. 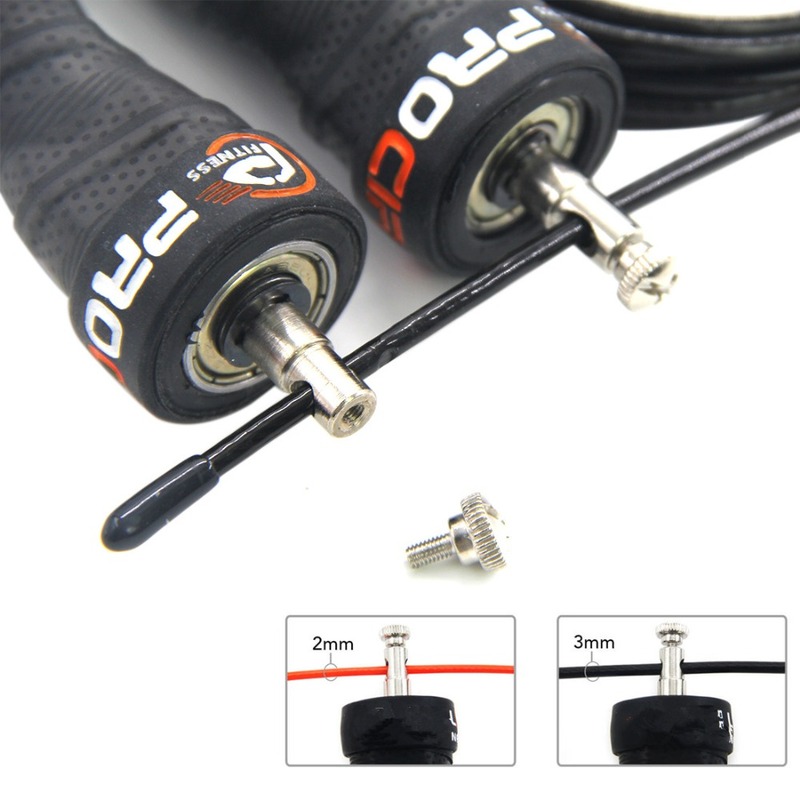 This rope will make crossing moves, double under and even triple under easier and fun. 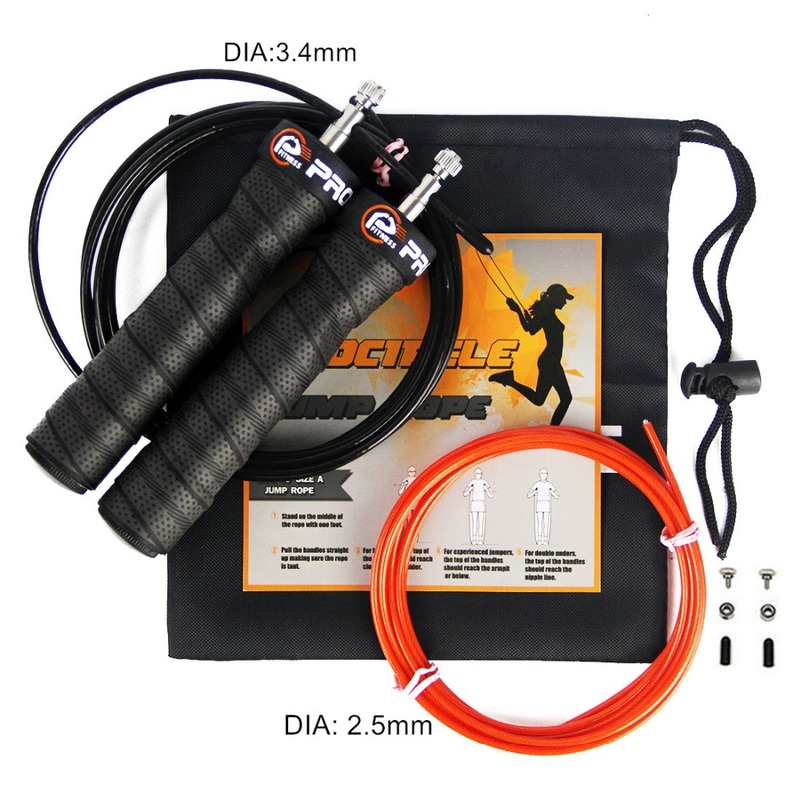 ProCircle speed jump rope is a one size fits all. Make sure it is clamped tight before jumping. Cable. Are a great way to add variety to your strength training routine. User should wear soft texture, lightweight sports shoes, to avoid an ankle injury. 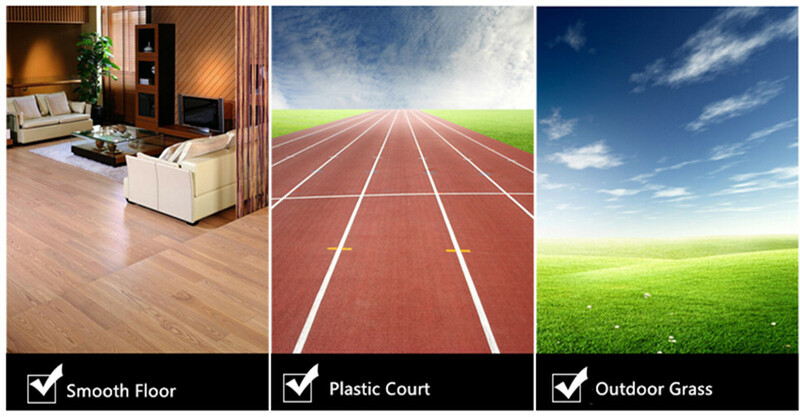 Choose a wider indoor / outdoor site, such as smooth floor / plastic court/outdoor grass. 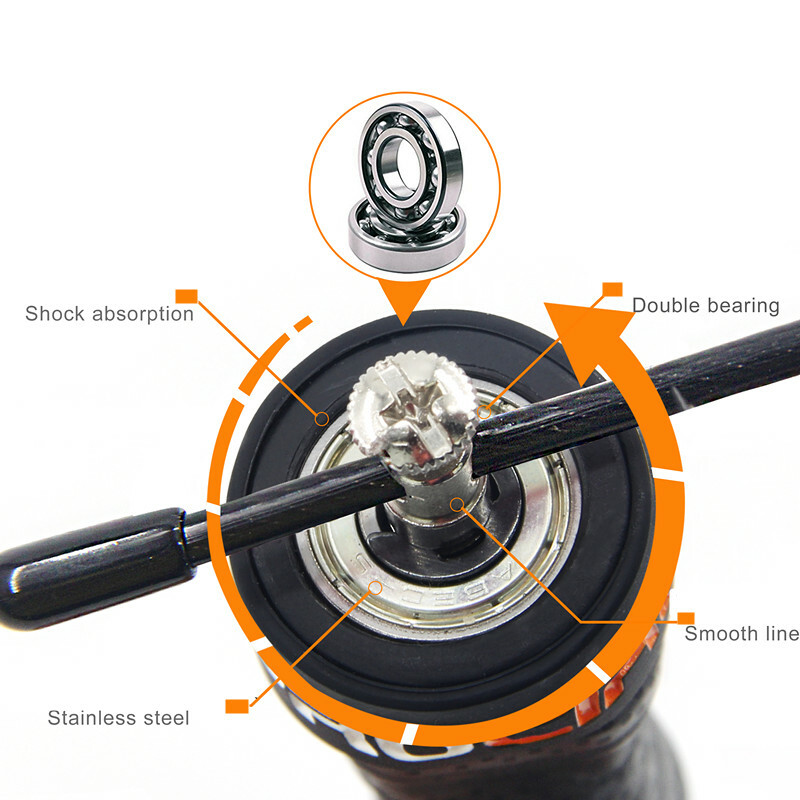 Don't use it on a rough cement ground, and the life of the rope will be shortened.